Contractors, Willmott Dixon, have handed over the keys to the new £10.5m university campus in Rotherham town centre. 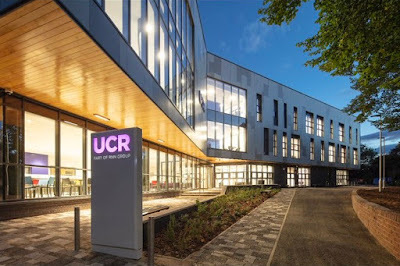 UCR is a brand new campus dedicated to offering degrees and professional training qualifications, providing a state-of-the-art teaching facility in the heart of Rotherham. There are a wide variety of degree courses accredited by top universities and awarding bodies, including Sheffield Hallam University and the University of Hull, with plans for over 50 courses to be running at UCR by 2020. 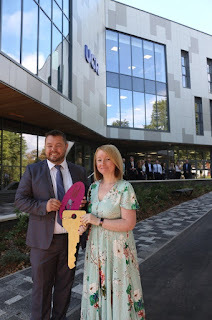 Jana Checkley, director of higher education and skills for RNN Group (pictured, right) said: "UCR has been a fantastic journey and as an organisation we are exceptionally proud to have worked with Willmott Dixon on such a beneficial project. "The new university centre has been built to an extremely high standard and we look forward to moving in our state-of-the-art facilities, ready for UCR to open its doors this autumn to students of all ages and career aspirations." Willmott Dixon has been working closely with the Group since last September, from milestone events marking the development's rapid progress, to inviting Construction students from across all three Colleges to gain insight into working on large-scale projects. Alan Neal, construction manager for Willmott Dixon (pictured, left), said: "As a local company based in Yorkshire with a strong track record of work in Rotherham, we are excited to be handing over the keys to this brilliant new university centre. 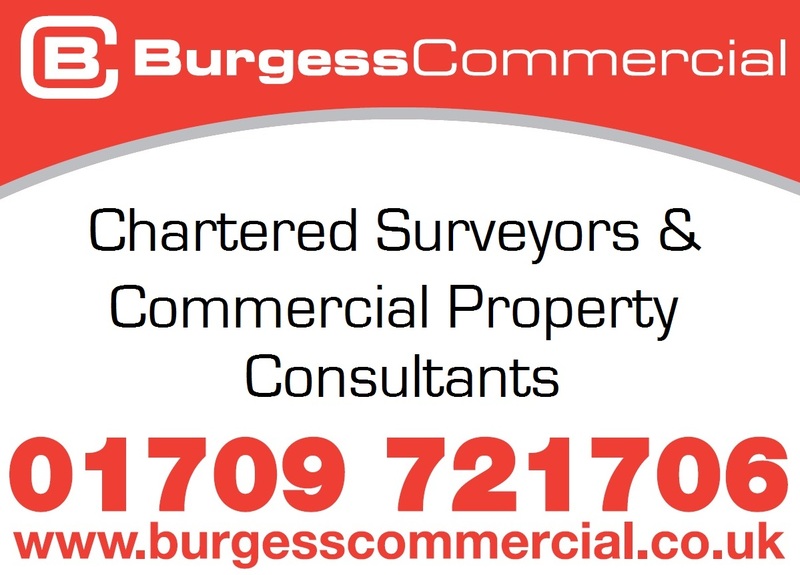 One aspect we are proud of is how we've been able to work closely with companies in and around Rotherham, to ensure as many as possible were involved with the building work. "University Centre Rotherham will provide important skills that will benefit the local economy for years to come and we hope it will also encourage many students to choose a career in construction." Rotherham Council provided the land for the campus in a cut price deal. 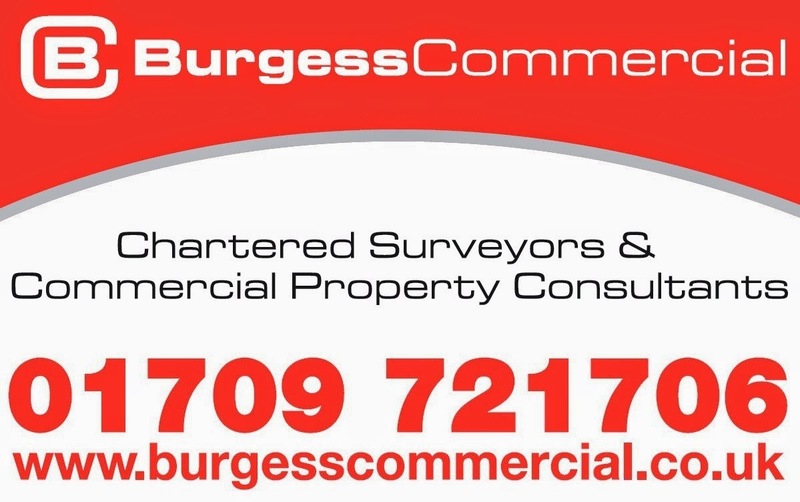 The Sheffield City Region (SCR) Combined Authority agreed to fund infrastructure works. A grant of £3.5m has been approved with the balance coming from RNN Group. Lloyds Banking Group, has both supported and partly funded the project. Dan Jarvis, mayor of the Barnsley, Doncaster, Rotherham and Sheffield Combined Authority, said: "Access to outstanding education is crucial in ensuring everyone, regardless of their background, can fulfil their potential and realise their ambitions. "I am delighted to see this important step for University Centre Rotherham, and very pleased that the Sheffield City Region was able to support the creation of the new centre with £3.5m of Local Growth Fund money." Cllr. 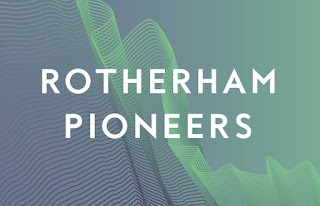 Chris Read, leader of Rotherham Council, added: "Having UCR here in Rotherham is part of the town’s regeneration and forms a key part of our vision and masterplan to enhance where we live. "As a Council we are also committed to ensuring all our young people have the best start in life, and what better way can we support this than by ensuring they are able to gain the skills and education they need right here in the borough. "This university centre will help bridge the skills gap we have which is currently holding the town back. If young people can get better qualifications they would be able to get better jobs, progress their careers and increase their income which can only be a good thing for the town."